Electric three-wheelers could be the "low hanging fruit" that can accelerate faster adoption of electric vehicles (EVs) in India due to their "unparalleled relevance" in first and last mile connectivity in some urban areas, according to a Deloitte report. The report -- Recharging India's electric vehicle ambition by electrifying public transport -- also said while the government will play an indispensable role in creating conducive environment for EVs to be successful in India, it should not initially consider taking all the risk. The government should rather be more of a facilitator by providing support such as subsidies and developing policy framework, it added. Emphasising on the importance of electric three-wheelers or e-rickshaws in the Indian context, the report said urban transport systems generally end up servicing the major route networks leaving first/last mile connectivity unattended. "Provision of public transport services for these cities or areas by electrification of auto-rickshaws appears to be one of the optimal solution...The electric three wheelers also termed as e-rickshaws could, thus, be the low hanging fruits in EV adoption due to lower lifecycle cost," it said. 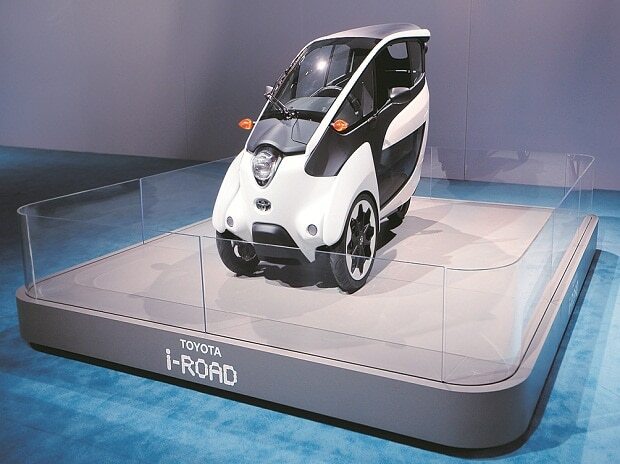 These electric three wheelers are expected to complete the value chain for public transportation by providing first/last mile connectivity or urban public transport services to the commuters, the report added. The relevance of e-rickshaws in providing first/last mile connectivity and/or public transport services in some urban areas is unparalleled, it said. However, for e-rickshaws to be successful the stakeholders, which include government, vehicle and battery manufacturers, and private operators, will need to work in tandem. The business models should aim at promoting acquisition, deployment, usage, and monitoring and control of these vehicles effectively, the report said. "The business models for e-rickshaws ideally should be such that they help in furthering adoption of EVs in the cities by ensuring better connectivity of services. These business models would need to promote accessibility, adequacy, affordability, safety and reliability of passenger services and facilitate efficient last mile connectivity," it added. Additionally, it should aim at managing the risk among the involved parties, allowing to operate them to attain cost efficiency, the report said. Stressing on the importance of the government's role in promotion of overall EVs in India, the report said support in terms of regulatory framework, reduction in battery cost, and widespread availability of charging infrastructure are expected to be the key pillars for mass adoption. "Government should initially not consider taking all the risk and should rather be more of facilitator in developing the conducive environment for growth of players and electric mobility by providing funds, subsidies, developing policy framework, etc," it said. The private players are expected to be able to bring innovation in the era when technology is evolving, the report noted. Thus, government will play an indispensable role in creating conducive environment for larger participation of private operators at all stages of EVs adoption such as manufacturing, operation, charging systems, among others for a total shift to EVs progressively, it said.